Chests and benches with storage are an obvious start. To begin with, a chest in your backyard will offer a nice seat to enjoy sunny days and warm nights. And, of course, benches and chests have a very impressive storage capacity and can be used for stashing a variety of things — from tools and equipment to shoes and clothes. Next, benches are great not only for patios, but also for porches, so they are indeed one of the best outdoor storage solutions. If there is a dining area in your garden or patio, the answer is pretty simple — just get a table with storage. A put-on table surface is easy to move, and tables like these will have what it takes to store plenty of objects. Some of them might even feature a greater storage capacity than a bench or a chest. And, of course, there are plenty of compact desks that can be placed next to a shed, serving as an extra spot for tools and equipment. A shelving stand is another idea you can make use of in a garden or patio. Here, there will be two ways to approach it. You can either get a ready-made shelving stand from a budget category and use it outside; or, you can move one of your older stands and bookcases outdoors and get a new one for the inside. Wall hooks and compact shelves are some of the other ideas to make use of. Sure, equipping the front of your house with shelves and hooks might not be the best idea ever. 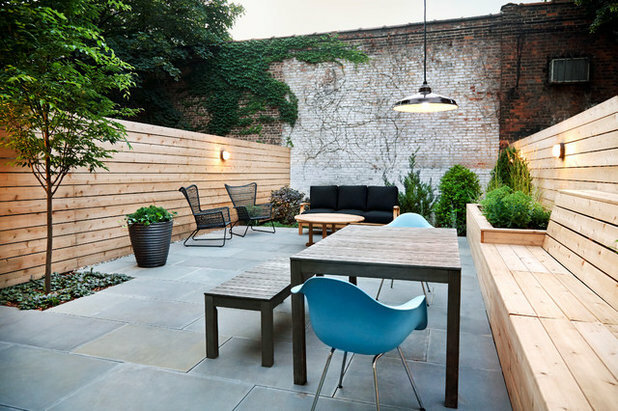 In the backyard, however, both options will provide a fully functional decoration solutions. At the very least, you can always use hooks and decorate the back of your house with pendant flower pots. 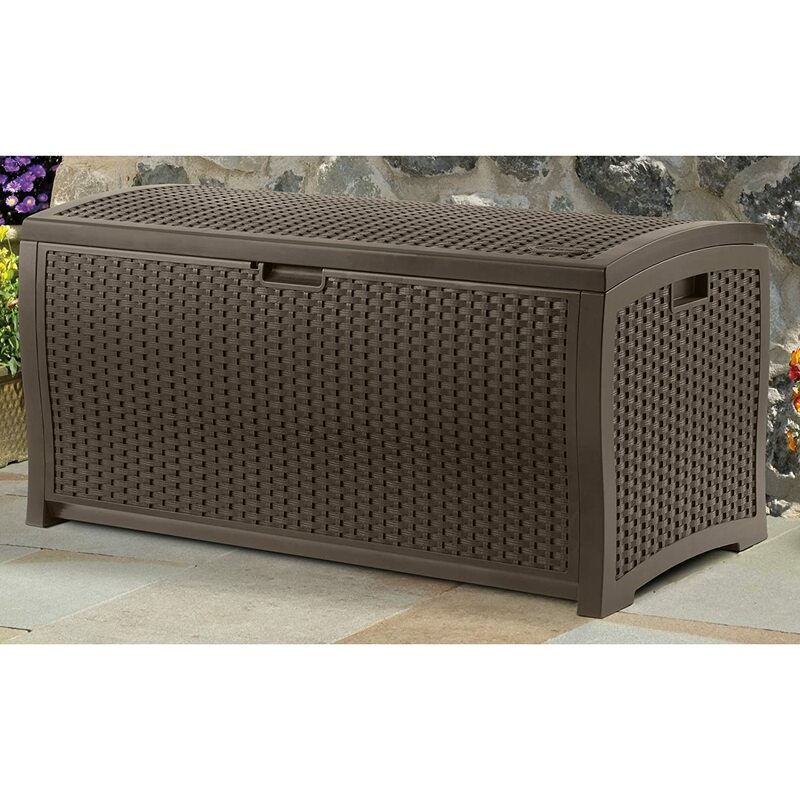 This will not exactly boost your home storage, but it will definitely give your patio an open, clutter-free look. And, of course, do not forget about the elephant in the room. One of the best storage solutions for patio and garden would be to build a shed or even dig a cellar. Sure, both options are time and energy consuming, but the result is worth the effort. Plus, you can always hire a professional to have the job done. Finally, since you are already looking for ways to optimise your outdoor storage, do not stop there. There are plenty of ideas on how you can give your home storage a boost — not only outdoors, buts also indoors. This quick article will offer you some of the best solutions on how to creatively optimise your indoor storage capacity.